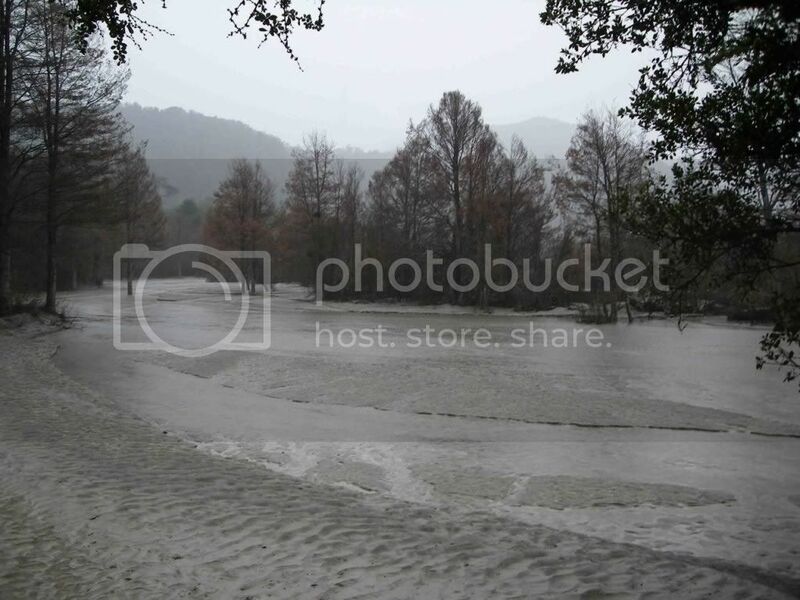 What follows is a guest post and photo essay (10 images) by Frederick J. Swanson (U.S. Forest Service), Charlie Crisafulli (U.S. Forest Service), Julia A. Jones (Oregon State University) and Nicolas La Penna (Chaitur Excursiones). 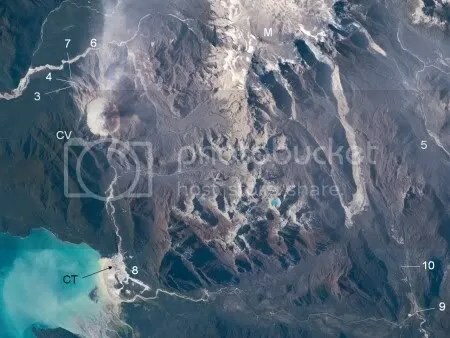 Deservedly, Chaitén volcano at 43° S in Chile has been a popular subject on The Volcanism Blog, but mostly viewed via remote sensing from space or the plume surveillance camera. 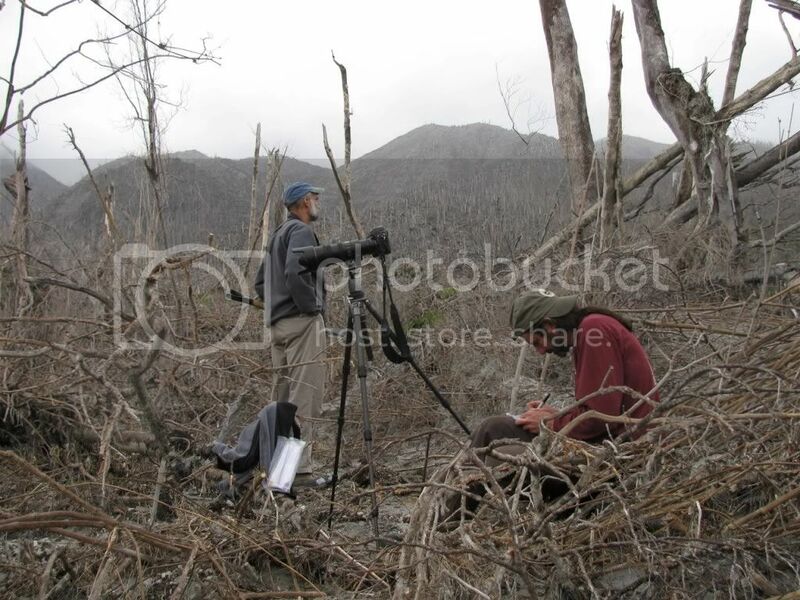 To give a feeling for on-the-ground conditions, we offer a short photo essay from travels to the area in March 2009 to carry out reconnaissance on ecological effects of the May 2, 2008, eruption. 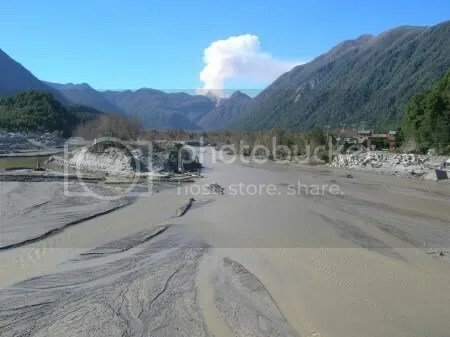 One of our study objectives was to compare ecological responses to the eruption of Chaitén with those observed in the intensively-studied Mount St. Helens landscape since her May 18, 1980, eruption (Dale et al. 2005). Chaitén and Mount St. Helens have some important similarities in the suites of volcanic processes involved in their major eruptions – lateral blast, tephrafall, and lahars – as well as high levels of water and sediment runoff from tephra-mantled hillslopes (Lipman and Mullineaux 1981, Carn et al. 2009, Lara 2009). (Note: ‘blast’ is used here as a general term for a laterally-directed, rapid movement of sediment-charged air; clearly the volcanic processes were quite different.) 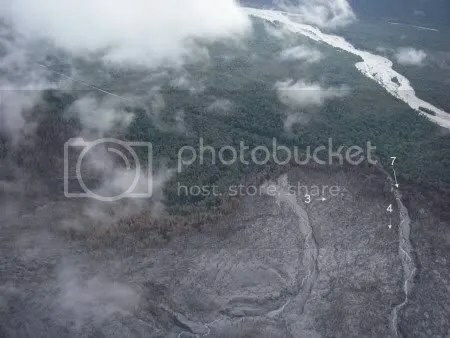 The recent eruptions at these two volcanoes differed in several respects, including much more extensive blast and lahars at Mount St. Helens and what appears to be much more extensive forest canopy damage in response to tephrafall at Chaitén. Further, and of substantial ecological importance, were differences in particle size of tephras between the two volcanic eruptions. Mount St. Helens tephra was coarse dacite pumice, whereas Chaitén tephra was very fine rhyolite ash. At both volcanoes these processes have created gradients of disturbance in the forests ranging from complete removal of aboveground vegetation to toppling of trees to killing of standing trees by abrasion and scorching of foliage to a gentle deposition of cool tephra into living forest. Stream and river habitats near the volcano also experienced a range of disturbances, including inundation by fine tephra washed from the hillslopes and severe scour by lahars and floods augmented by rapid runoff from tephra-covered hillslopes. 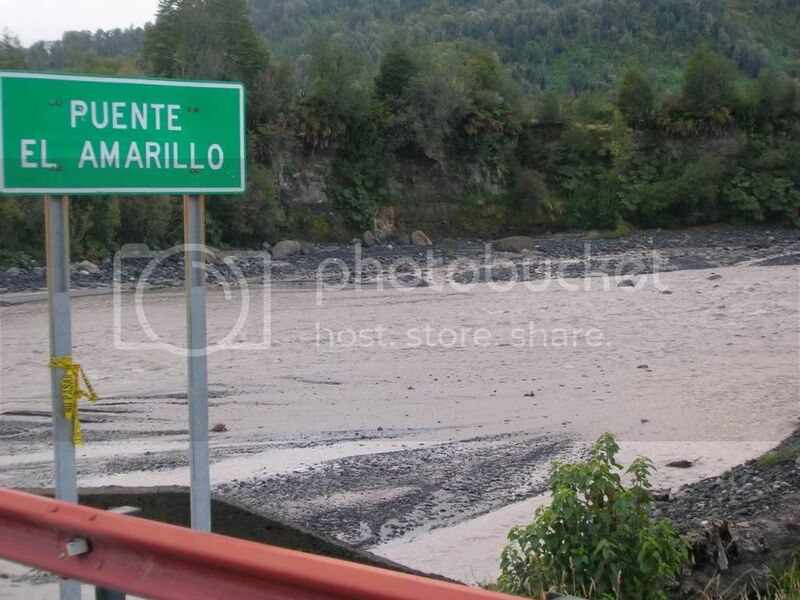 These fluvial processes severely damaged the town of Chaitén and triggered evacuation of its 5000 residents. As at Mount St. Helens, the severely impacted Chaitén landscape at first appeared lifeless, but we quickly found organisms surviving in a variety of ways and in many locations. Several types of understory plants, such as ferns, nalca, and bamboo, sprouted vigorously from belowground rootstocks. Several species of broadleaf trees, both standing and toppled with limbs removed, were beginning to sprout along the bole. We were surprised by the paucity of evidence of animals, including insects, spiders ballooning in on the winds, birds and burrowing animals, such as the rodents and ants which were common at Mount St. Helens in the first summer after the eruption. More detailed reports from Chaitén are forthcoming; observations at Mount St. Helens are documented in Dale et al. (2005). With the exception of Figure 4, which is copyright N. La Penna, all text and images in this blog post are in the public domain. Carn S. A., J. S. Pallister, L. Lara, J. W. Ewart, S. Watt, A. J. Prata, R. J. Thomas, and G. Villarosa. 2009. The unexpected awakening of Chaitén Volcano, Chile. Eos Trans. AGU 90(24):205-206. Dale, V. H., F. J. Swanson, and C. M. Crisafulli. 2005. 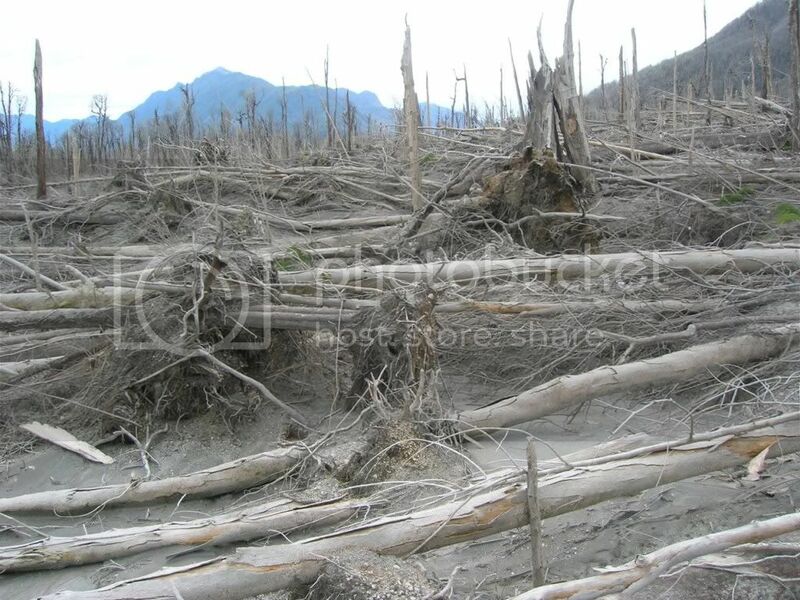 Ecological Responses to the 1980 Eruption of Mount St. Helens. Springer, NY. Lara, L. E. 2009. 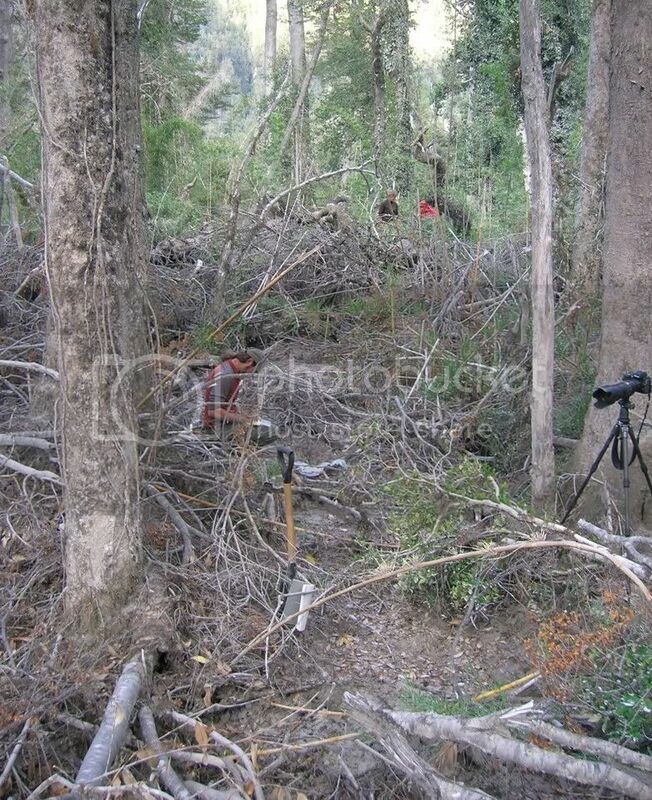 The 2008 eruption of the Chaitén Volcano, Chile: a preliminary report. Andean Geology 36(1):125-129. Lipman, P. W., and D. R. Mullineaux. 1981. The 1980 eruptions of Mount St. Helens, Washington. US Geological Survey. Prof. Paper 1250. Charlie Crisafulli, US Forest Service, Pacific Northwest Research Station, Amboy, WA, USA. Julia A. Jones, Geosciences, Oregon State University, Corvallis, OR, USA. Nicolas La Penna, Chaitur Excursiones, Chaitén X Region, Chile. For all Volcanism Blog coverage of the Chaitén eruption: Chaitén « The Volcanism Blog. 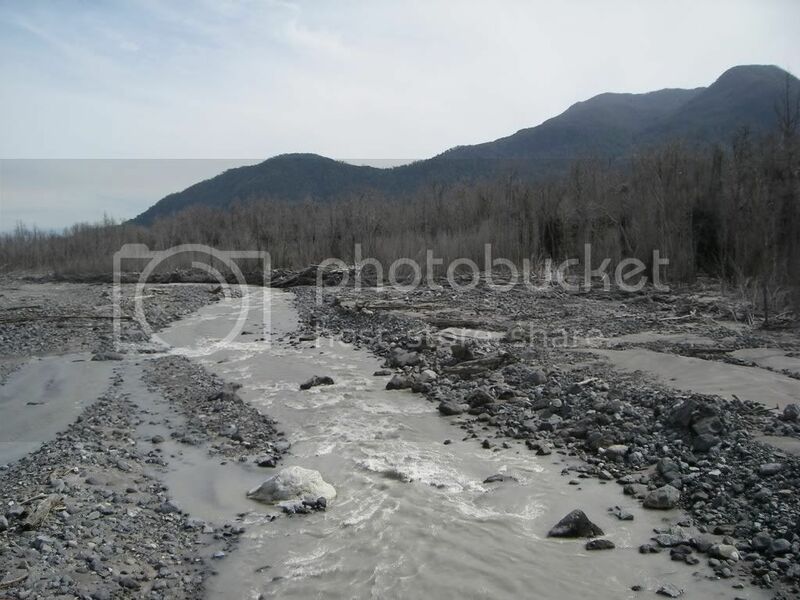 Any information upon the impact of water quality to the region? 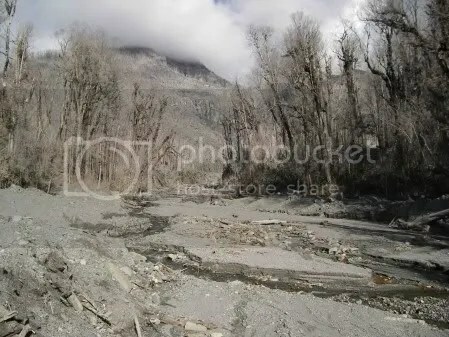 The Michinmauida Glacier turned gray from ash deposits. The Michinmauida spawns several rivers that people and animals depended on for water. Thank you so much for this valuable information posted in your blog. For over a year and half we have seen little presence of the scientific community in our area . Although most of the attention has been placed in the socio-economics and geo-political impact of this amazing natural phenomena, we strive for scientific evidence which will help us in the decision making process when protecting our love ones, property, tourists and livelihood. Robert, our group from New Zealand visited the area in Jan/Feb 09 (ie around nine months after the start of the eruption) and collected data on surface water quality, among other things. If you’d like to email me at stewart.carol@xtra.co.nz I’ll send you a pdf of the poster we just presented at GSA. By the way, thanks Fred & co for posting this article – it’s great.